If you know anything about Jess’ men-of-the-music-industry preferences, you probably know how much she loves Harry Styles. In a close second, though, is Matty Healy–the lead singer of The 1975. (Truth be told, she would take their album over One Direction’s–don’t tell Harry, b’ys.) 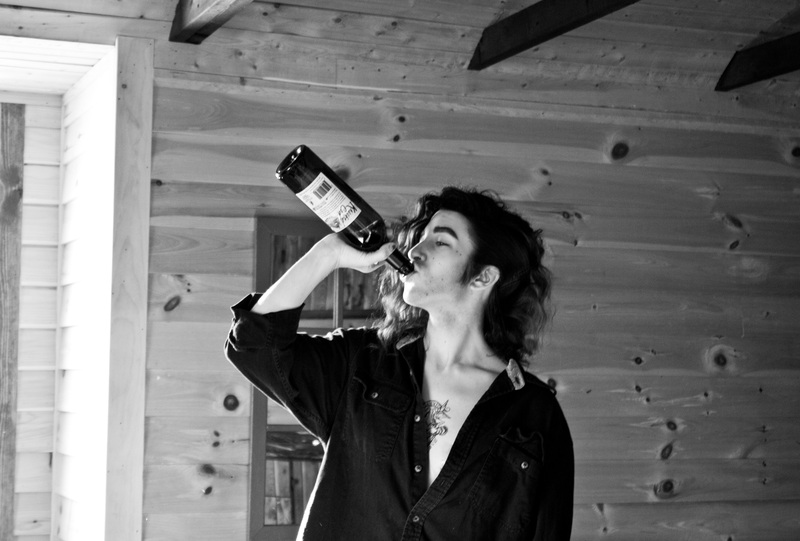 And, since imitation is the highest form of flattery–she turned herself into Matty for an afternoon. I still get taken aback when I look at these pictures, haha. I think it helps when you sort of look like the other person already. Now, I’m not saying Jess looks like a dude, but I’ve seen pictures of the musician that remind me of how our Dad looked when he was dating Mom, haha. 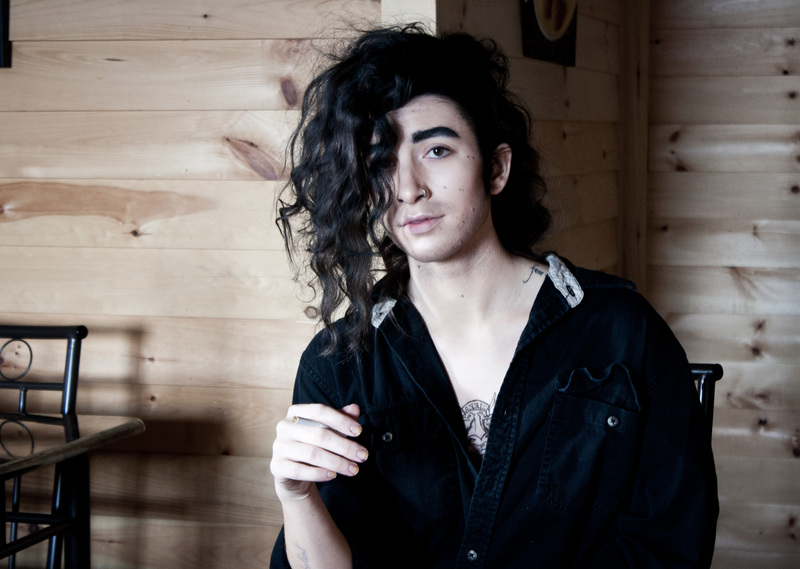 So Jess probably has some genetic Matty Healy-esque undertones going on there somewhere. Preparation was pretty straightforward: Curl the hair. Add beard stubble. Contour the nose. Double the eyebrow thickness. Spray hair dark brown. Draw on moles. Duct tape chest. Get your sister to draw fake tattoo on the chest. Black pants–skinnier the better. Black button-up shirt–baggier the better. Black shoes. Cigarette. Bottle of wine. That’s actually not at all straightforward. **Can we just point out that neither of us knew how to properly hold a cigarette. This may or may not be evident in the photos, haha. 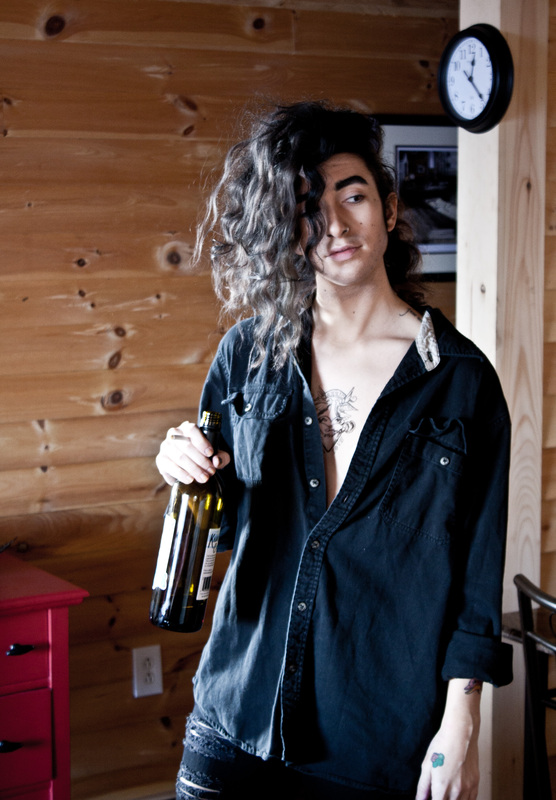 We all know Matty would drink wine from Twillingate, haha. Previous Previous post: We love Jac Vanek. Mom–not so much. Next Next post: Backpacking & Footwear Problems.